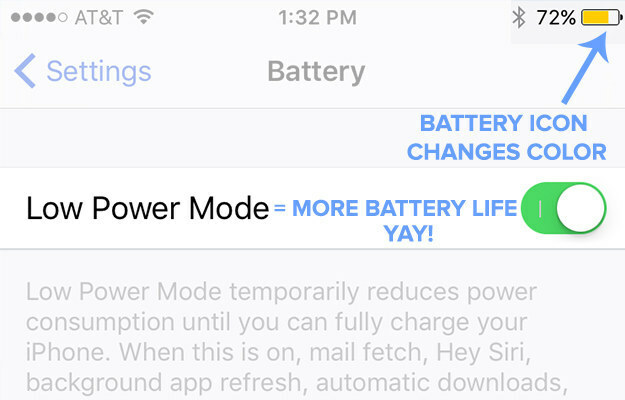 When your phone’s battery falls to 10% it will automatically prompt you to enable Low Power Mode. When this setting is on it disables looking for new email, downloading app updates and various visual effects. The battery icon also changes colors!